It has been a very long blogging hiatus, which of course means I've been busy novel-writing and travelling. In connection to my previous post, so many months ago, I've got more portrait news. 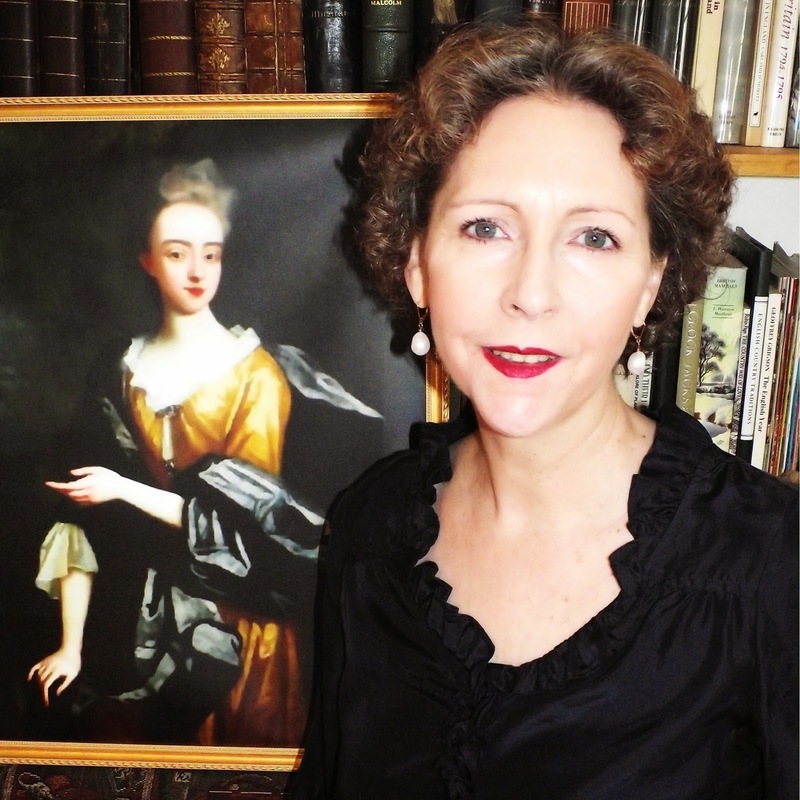 The Royal Collection/Her Majesty the Queen have granted a licence for me to have the Godfrey Kneller portrait of the Duchess (made before she was a duchess) on the cover of my novel. To say I am delighted and thrilled is a huge understatement! The title of the novel is to be A Pledge of Better Times, which happens to be the Beauclerk family motto. My next UK trip is in the final stage of planning. I will, as usual, be re-visiting many of the sites that appear in the novel. I expect also to pay my respects to the Duke and the Duchess at their burial sites--which is always emotional for me. I imagine it will be even more so now that I am putting the final touches on their story! This is not the book cover Kneller portrait. Since discovering the existence of this one and the one mentioned in my prior post, I've found out about one more. Not surprising that a reputed beauty should be such a popular subject for the artist!